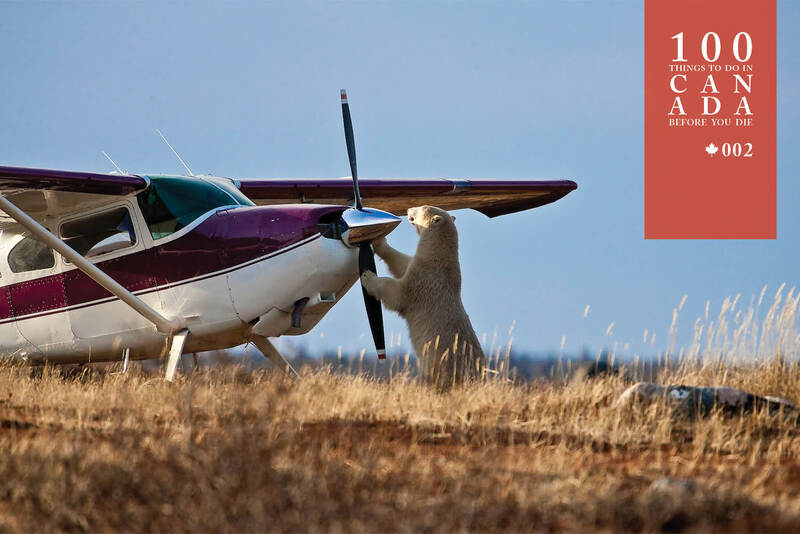 A polat bear climbs nerby Churchill Wild- photo courtesy of Dennis Fast. 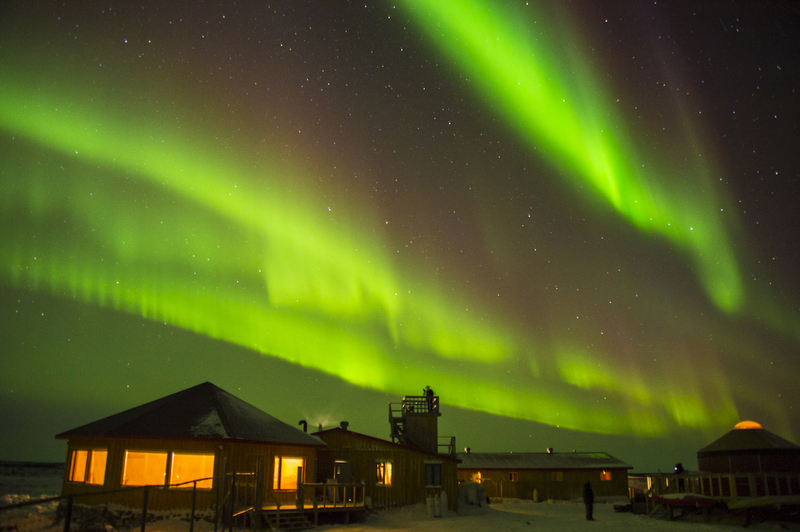 The northern lights illuminating Churchill Wild. 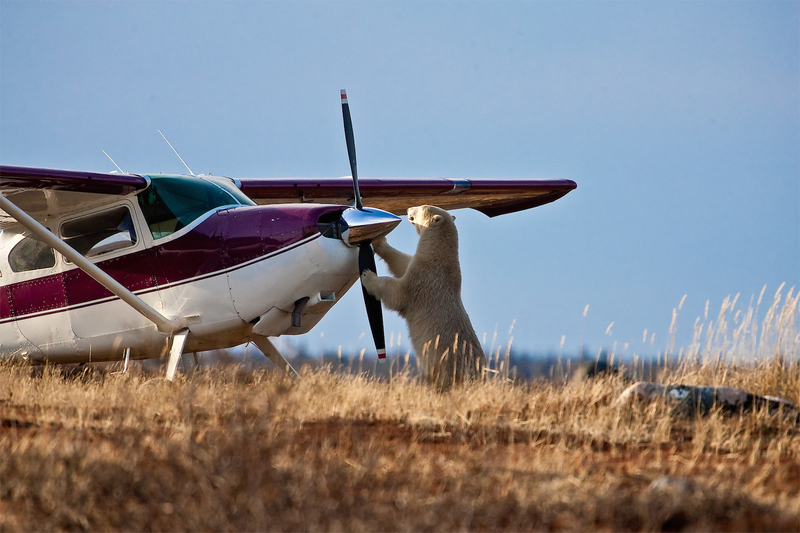 A polar bear plays with a propeller at Churchill Wild. 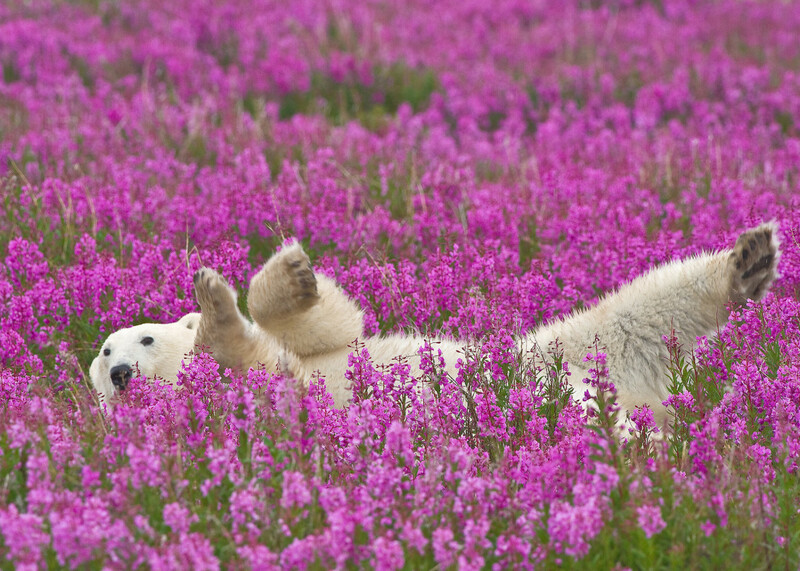 A polar bear relaxes in some fireweed near Churchill Wild. 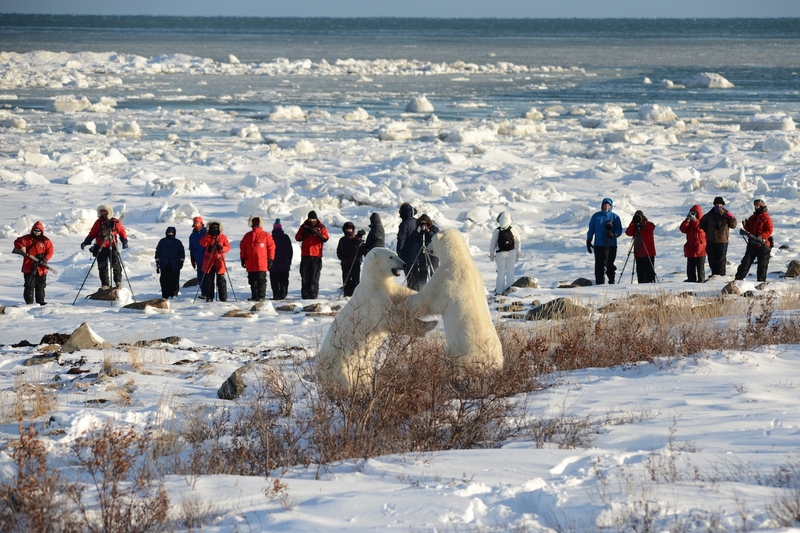 Visitors of Churchill Wild photograph a pair of polar bears. Test your nerves on a journey to meet one of the world’s most amazing animals. With no other human presence for miles, a stay in a Churchill Wild Lodge is a perfect escape. Choose from four world-class facilities with four distinct experiences: Dymond Lake EcoLodge, North Knife Lake Wilderness Lodge, Seal River Heritage Lodge or Nanuk Polar Bear Lodge. 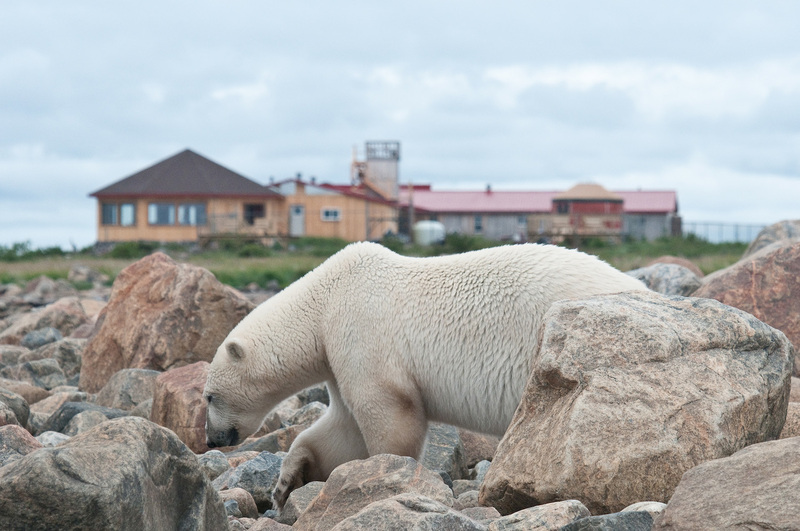 Whether you’re gazing from your lodge at panoramic views of Hudson Bay or embarking on a Polar Bear Photo Safari or Birds, Bears and Belugas tour, you’ll witness majestic wildlife. Guests routinely encounter black bears, moose, caribou, wolves and plenty of polar bears. Few places give you a better opportunity to walk safely among Ursus maritimus. Seek adventure amongst the polar bears at a Churchill Wild Lodge (churchillwild.com) staying at Nanuk Polar Bear Lodge (or one of three others) in far north Canada Manitoba or find out about Polar Bear Tours Canada at momentotravel.com.au. From Churchill, Manitoba, Churchill Wild’s four lodges are as close as 30km (Dymond Lake) to a more distant 250km (Nanuk). Access to all lodges is by air: floatplane, wheel-plane or helicopter.